You can subscribe to my youtube by clicking here! Enjoy all of my Beautiful Guests! Puerto Rico…. Thriving to Become a New Version of Itself. Lymarie Taboas and Preet Kaur share their experience when Hurricane Maria slammed into the little island of Puerto Rico. Their story tells the BIG ways community came together and how they will be part of history in creating a better or more Conscious land and people. ​She is now offering multidimensional messages about living creatively + living your life as a work of creative manifestation… with one-on-one Light Language guidance sessions, lectures, workshops, blogs, books + ceremonies. And she creates what she calls unique “Energetic Frequency Signature” Bundles — a multidimensional package of a glyph drawing, ancient script writing + spoken ancient/galactic language — uniquely created for the recipient to awaken their unique dormant Light Codes that inspire them to remember their mission + heartfelt purpose in this lifetime. She is also realizing her creative dreams — currently launching new multidimensional material that inspires people to live creatively, follow their heart + navigate this new 5D consciousness Ascension shift in the NOW as a collective TRIBE. Louie Otero, Angel Intuitive, Tarot Angels and guidance from the angelic realm have been a part of Louie's life for as long as he can remember. Indeed, this connection has been a major force shaping his life and direction. It is my passion to connect people with their angelic guardians and help facilitate the flow of insight.."In addition to connecting with angels, Louie uses his intuition, knowledge and training in other disciplines, including Tarot and Mediumship, for tapping into divine guidance for his clients. He has trained with many inspiring master teachers and studied modalities including ATP®, Astrology, Tarot, Energy work, and IET® (Integrated Energy Therapy). The 22nd Day of the 11th Month of The Year of Our Lord 2014.THE PRAYER FOR THE BLESSING OF PEACE Full Translation and meaning of The Divine Purpose of the Prayer For Peace.This was created as a powerful blessing to bring peace and when invoked is facilitated by the Saintly Realm.According to the need of what is required for the situation.When invoked this event resonates at a Multidimensional Level Guided by the Christ Consciousness that exists in all that is.This Prayer is a form a Benediction which offers a very powerful clearing and cleansing and healing,From the energies that come from the Illusionary realms that mankind creates in their mind.This prayer can be used for personal, house or environmental clearing. It encompasses all denominations.The Saints wish to Help and this is their Gift to you.This Event when evoked will resonate and Last from moon to moon. Sheena shares a prayer she created called The Amoure of God which is a call for Protection from all not is not of Gods Pure Love and Light. Author of The Gentle Way I,II, and III, First Contact and Atlantic and Lemuria The Lost Continent Revealed, Tom T Moore also has a couple of tools in his tool box that he shares that I think are valuable and like all Spiritual aspects….its really simple. MBO… a request for a Most Benevolent Outcome.. Join Tom and I to learn how to use this most useful tool and more! Judith Küsel is a visionary, author, Pyramid Grid Activator and Soul Reader. She possesses the ability to tap into the Cosmic Superconsciousness Energy Fields and bring forth Ancient Cosmic Knowledge. Her Soul readings have positively impacted the lives of thousands of people across the globe and assisted them to live their highest Soul purpose and calling. The Earths quantum leap and the New Path. Sheena discusses the latest on the split of old Earth into New Earth. Here is a collection of some of my paintings! More than just a medical term, Kelly and I discuss a deeper more Spiritual side of Autism. ​When Spirit called George Barnard to go to America to share his workshops on how to make contact with your Angels, I was the last one to jump on board. After many attempts to get me to go to his workshop I was finally made it with the insistence of my friend Angus. Get here NOW!, was his message. I had no idea this would be a personal workshop session and I had no idea what was about to open up for me. Join me as I tell the story of Discovering my Office Within. You have heard me share stories of my relationship with the Water, with the Forest, with the Clouds, with Timelines, with Mother Spirit, and more. Now I have a story of my relationship with my house plants and how they alerted Elise that I was in trouble. We really are ONE. Its all in there!!! The trick is to UNCOVER IT!! The Divine Abilities I have all came from Within Me. I did not Learn them. I discovered them. In the beginning it took some reading to figure out what all this new stuff was called. And just as I had always heard, when the student is ready the teacher will come and the Universe sent me Teachers from around the world. Join me in my Journey of Discovering my Divine Abilities. The Universe and I continue The Dance and I am encouraged to use even more magic in my life!!! The last 3 ½ years has been an amazing adventure and what a Great way to close a chapter or even a book in my life. This week’s show is on how I used time lines to breathe in the girl who would be buying my house…As I Breathed in her Energy to the house and land I was also careful of whose energy might interfere. Join me in magical way I sold my house! Standing for Water is not new nor is it a part time job for some. Nikki A Wilkins has found Purpose and Health as she Dedicates the rest of her Life to our Mother Earth and Our Water. As she leaves North Dakota in Peace she moves on to take her place at the next Standing Rock. Join us in this update and continual support for our Protectors. In observing the process of change that im documenting here, I’ve noticed a calm and peaceful letting go. There is a new natural flow in it. There have been times when I had to really force or work at letting go. Had to bring out the ol tool box to navigate myself thru that process. I know now that was on the intellectual level. It was only after my heart was healed that I have been able to fully own the memories that are passing thru me now and with a Loving Heart LET THEM GO!!! 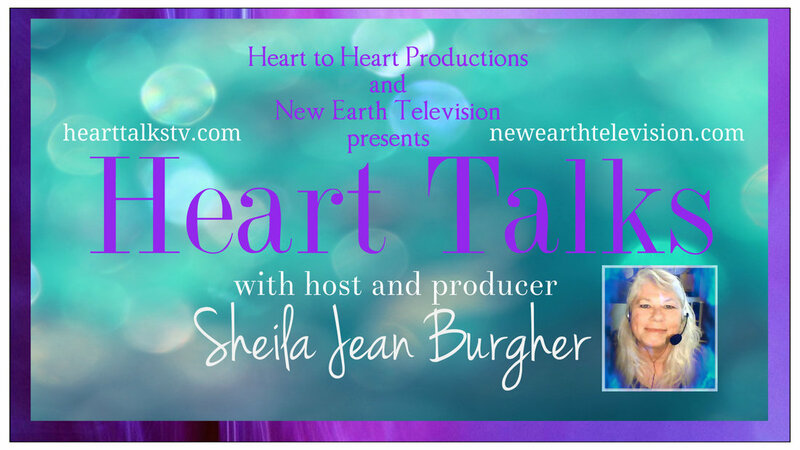 What a delight to have Sheila Maria Wright (Sheelagh Marie) on Heart Talks today!! And Thank You to my Divine Team for sending her my way!! Go Team!!!!! <3 <3 <3 Sheelagh was Guided to send me a message as my Dance with the Universe continues.!! Sound Therapy is an established health profession in which music is used within a therapeutic relationship to address physical, emotional, cognitive, and social needs of individuals. After meeting with clients and/or healthcare professionals, the sound therapist provides the indicated treatment including creating, singing, moving to, and/or listening to music. Through musical involvement and listening to a specific music created for various maladies, clients’ abilities are strengthened and transferred to other areas of their lives. There came a point where I realized I was much more than this Earth Body and this Earth Existence. And although I did not understand it, I was assure by Spirit there was a “Plan” if I were to surrender to it. Surrender to it meant, I would let go of all my wishes and dreams and big ideas and follow an UnFoldment. The UnFoldment Plan is totally about Trust and Faith and My Ability to Allow and Observe and Create with the events of Each Moment. In the context that we are creating our reality with our thoughts and feelings….Contrast is a perfect tool to decide differently or Choose how otherwise you would have your reality. In any given moment while you are Present and in Observation mode contrast shows you what you don’t want and an opportunity to Create what you do want. Once I take a Creative Moment and Decided and Choose what I would do or how I would rather feel about a situation. I now have something to focus on or an alternative way to react when…and it probably will…. that moment when it shows itself again. ​As I observe the continuing healing experience I had last week I also paid attention to the tools that were required to facilitate this session. Because I was fully aware that there would continue to be clues and messages and messengers along the way I wanted to skillfully make use of the tools I have been collecting along the way. Today I share the use of 4 tools that I have been Intentionally and Skillfully been using for some time now. Pay special attention to my THOUGHTS right now. I take that back…..Ive changed. There is a valuable healing tool called Ho'oponopono. It asks you to become totally responsible for your self, Totally. By saying the Divine words, I'm Sorry, Please Forgive Me, Thank You , I Love You, you are repeating sounds of Universal Vibration of Love. Being an Empath is a Gift and a loving curse!! A network of Empaths is a safe and supportive space we need to get through this time of Transition. I share a few of the symptoms we are dealing with these days and how not to panic!! Nikki had been sent home from hospital to live the last of her days. Thats when she decided to pack up and go live the rest of her days with Purpose by going to Standing Rock. That was when her Healing Began. Traveling to the Crystal Cities of the Agartha Kingdom(Inner Earth) aboard our lightships is the destiny of those souls on this path of physical ascension. Those of the Lemurian Councils are preparing for your arrival, where many of our Earth Allies are working directly with Agarthan liaisons already on your surface on the nature of their introduction to the Human population in a short time.